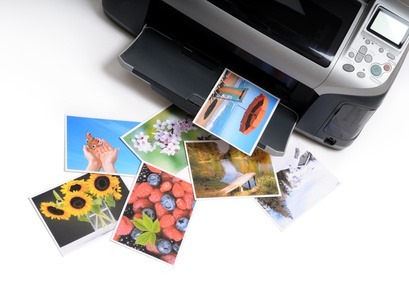 Although it is mainly individuals using their home printers who want to learn how best to print their photos, many businesses also need to know about photo printing. Companies mainly use photo printing in order to create marketing materials and work newsletters, as well as resources for trade shows and exhibitions. In this guide, we reveal everything you need to print high quality, flawless photos. Just as important as choosing the right printer is ensuring that you are using the best quality and most appropriate ink cartridges with which to print your photos. The ink you choose will depend on the manufacturer of your printer. All manufacturers have specialist photo printing ink cartridges i.e. Epson photo printers tend to use Epson Ultrachrome or Epson DURAbrite inks. It simply isn’t possible to print great quality photos on standard printer paper. You need to instead get yourself a high quality type of specialist printer paper, choosing either a gloss (for deep, vibrant colours), semi-gloss (everyday quality) or matt (rich texture, finger print resistant) finish. Remember that the resolution of your images can affect the size that is the most suitable for your prints, so you may need to adjust one or the other. For example, reduce the size of low resolution prints to get the best quality result. Adjust printer settings according to the quality you want and the printer paper you are using. For great quality prints, use the highest settings available. After printing, leave your photo prints to dry properly before touching or using. Author Bio: Christine works for Cartridge Monkey, the UK’s leading supplier of cheap ink cartridges. Christine loves to write about photography, graphic design and photo editing.